The heavy-duty belt conveyors from Walther Flender can be used as storage belts or as classic transport belts in a straight, L or Z shape. 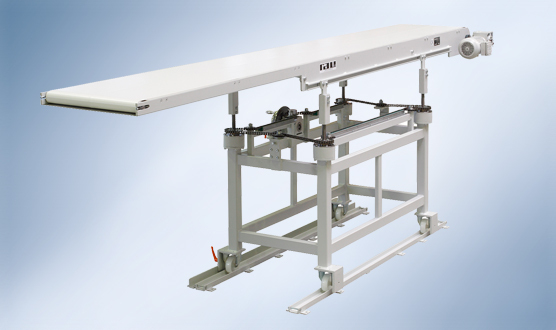 The frame is composed of a torsion-resistant steel-welded design that is designed for maximum loading and can be walked on. Both the drives and the belt quality are designed for a maximum service life. Accordingly, the bearing points sealed against dust and lubricated for their entire service life Gentle collection of parts is performed by a recessed sliding plate at the point of impact. Walther Flender’s heavy-duty belt conveyors are also available with a wire mesh belt and can therefore be used, say, as a cooling zone for very hot punched parts.